" This cookie is soft and delicious. The smell of cinnamon will fill the house when you bake these." In a medium bowl, cream together the butter and sugar. Beat in the egg yolks, then stir in the milk. Combine the flour, cinnamon, baking powder and salt, stir into the wet ingredients until well blended. Wrap dough and chill for at least 2 hours. On a lightly floured surface, roll the dough out to 1/4 inch thickness. 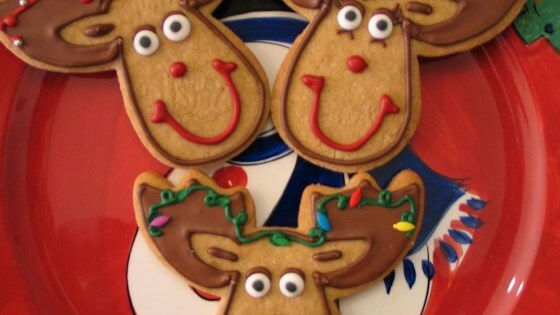 Cut out cookies using a 2 1/4 inch cookie cutter. Place cookies 1 inch apart onto a cookie sheet. Bake for 10 to 12 minutes in the preheated oven, until lightly browned. Remove cookies to wire racks and cool.